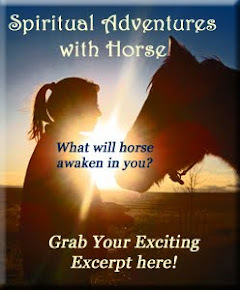 Equi-Heart Pledge: Day 3: Transforming the Stickyness of Worry to Loving-Kindness! Day 3: Transforming the Stickyness of Worry to Loving-Kindness! Are you a worrier? Do you tend to worry over sick or injured animals, relationship issues, work conflict, or money? Join the club! Worry, even about little things, can be everywhere and throw a wrench into all sorts of situations, unless you are mindful of the energy you are adding to the situation! The horses showed me a really great example about how my worry isn't helping them right now! Since our big snow is melting, it's making a BIG, muddy mess, which we aren't really used to in Colorado. And every time I move a horse, I worry that they will slip in the mud! Well, according to them, all my worry does is make it MORE likely that they will slip, because the energy of worry is "catchy" and distracting...with me worrying, it's all they can do not to worry, so they can focus on where their feet are! HA! Just one simple example of how worry makes a sticky mess. Join me in throwing off the shackles of worry and invite in Loving-Kindness today! What are YOU no longer going to worry about!!?? Please share! 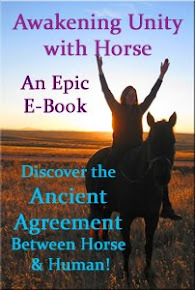 And please share a comment about the Gem of Wisdom horse offered to you today!